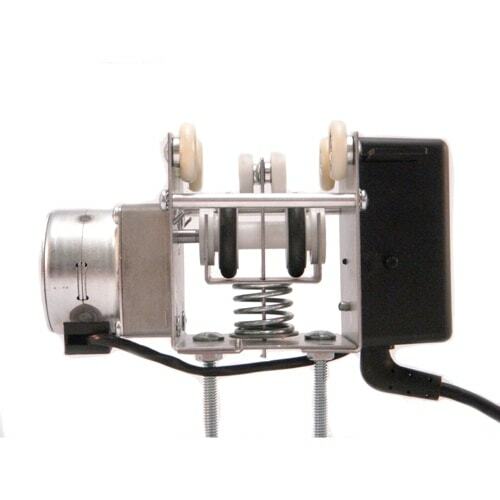 This product can move multiple crossbars, with each crossbar allowing grow lights to travel side by side, and this indoor growers kit has a zero to sixty second adjustable time delay for pausing the grow lights at the end of each run. The time delay helps promote even indoor plant growth from end to end and allows for equal grow light-time for the entire run. 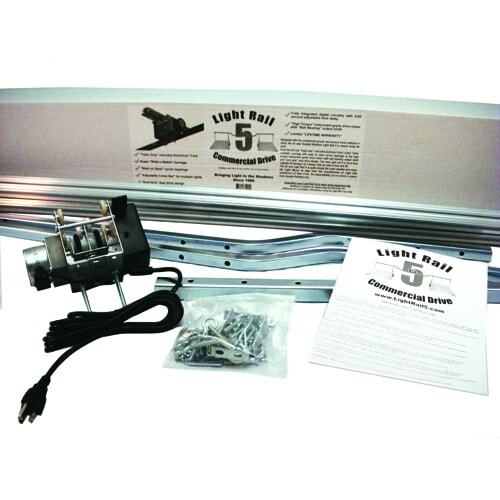 From its triple duty extruded aluminum track, wide and stable carriage with steel -on-steel carrier bearings to the high torque 4rpm instrument grade drive motor with ball bearing output shaft and “sure grip” dual drive design, LightRail 5.0 is more than capable of moving 2 or 3 indoor grow lights side by side, or fore and aft, per crossbar. 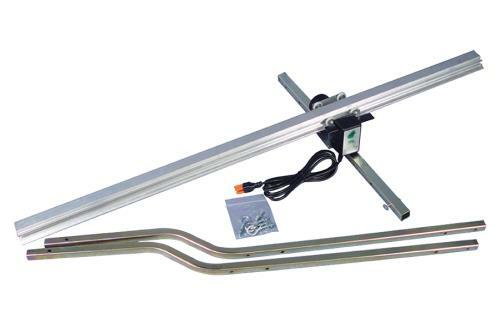 The LightRail 5.0 Kit comes with a LightRail 5.0 Drive Motor, one crossbar with width span adjustable settings of 81”, 87” or 93”, instructions, mounting hardware and a 2-piece, 8’ (2.4 meters) total length Rail, so it’s long enough and ready for an extra Add-A-Bar Kit to purchase as a second crossbar. LightRail 5.0 will move up to 9 lights (or 6 lights to accommodate larger reflectors) with a single Motor. Note: With LightRail 5.0, perfect balance is key and vent tubing can play havoc with that. We recommend that if you do have vented hoods, you use LightRail 3.5 or 4.0.